Chrome plated brass with ceramic discs. Working pressure 0.5-6.0 bar. Height as fitted 110mm basin, 122mm bath. Wave Taps Bath (2 Pack) is rated 5.0 out of 5 by 6. 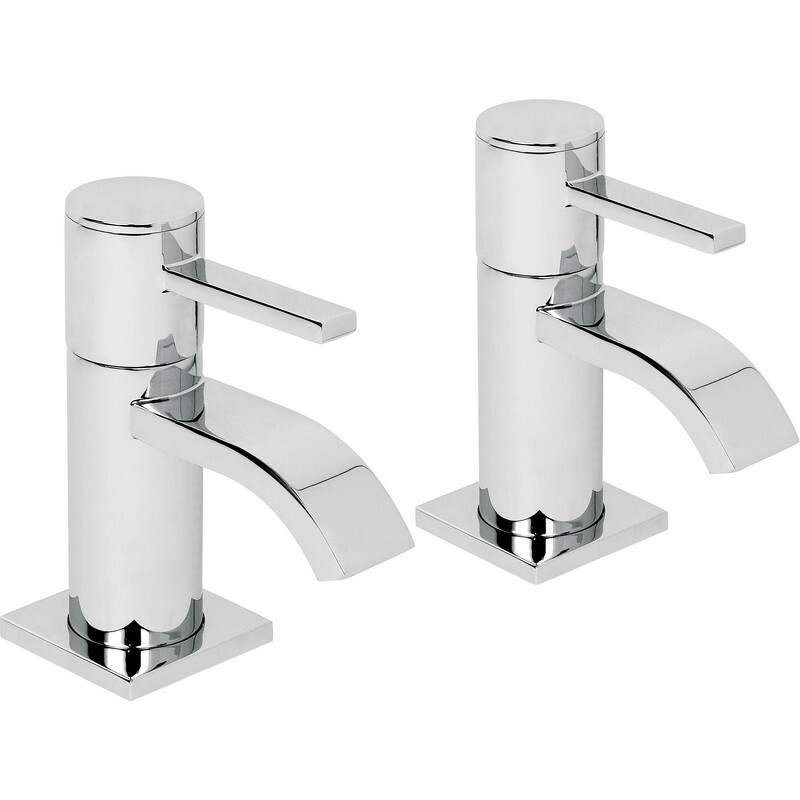 Rated 5 out of 5 by MNC Services from Stylish and modern Great looking taps with a brass back nut not plastic. I can't comment on the reliability yet as I don't know how long the ceramic disc valves will last. Rated 5 out of 5 by Steve1966 from Excellent build. Replaced 8 year old dated taps for these elegant clean looking taps for the bathroom basin. Very smooth action to the levers to turn the water on and off. Ideal if you have difficulty in gripping standard round heads on taps. Excellent for the money. Rated 5 out of 5 by Nicoa03 from Look fabulous Really happy with these taps, look great ,just the finishing touch i needed. Rated 5 out of 5 by Sjgill from Good looking taps Bought these to replace aging taps on our cloakroom basin.